Tree fertilization is an important aspect of maintaining healthy trees, and making sure they are treated on a regular basis to keep them that way. 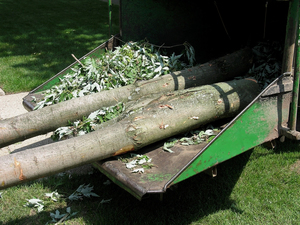 At Volusia Tree Service, we understand the importance of properly maintaining trees for optimum health. When we come to your home or business, we will educate you on this process so that you can keep your trees and landscape looking their very best year in and year out. Tree fertilization is not food, despite what many people believe. Most people think that when you fertilize a tree, it is like giving it vitamins and minerals, or green vegetables. Instead, tree fertilization contains elements that act as a catalyst that enables the tree to produce glucose and proteins, as well as other nutrients, that are essentially food for the tree. This process allows the tree to generate its own food from the tree fertilization in Daytona Beach and Port Orange that we provide. Most tree roots for the trees at your home or business, are within the top 12" of soil. For this reason, it is generally not required to inject tree fertilization into the soil. This is just not necessary in nearly all cases. To apply tree fertilization properly it will need to be broadcast over the ground's surface where it will then penetrate the ground to reach the tree's roots. In the Northeast, however, the process would be somewhat different as shown with this tree company in Rhode Island. The best time to fertilize your trees in Volusia County is the late fall. This application of tree fertilization in Port Orange or surrounding Volusia County areas may not result in immediate results, but it will result in health surge when spring rolls around. However, some trees like Crape Myrtle trees will show much quicker results with a late fall application. 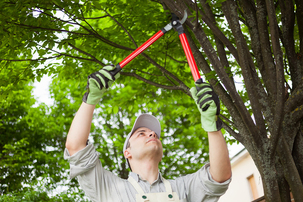 Call the tree experts at Volusia Tree Service for guidance on your particular situation. Mature trees generally do not need to be fertilized to maintain their good health, unless they are diseased. The reason for this is that because of their age and growth, they have developed a root structure that extends into fertilized areas within your landscape's soil. If so they go deep enough and wide enough to find and absorb proper nutrition on their own. As a result, additional fertilization by you is generally not required. However, if you have a tree that looks malnourished for diseased, make sure you call our tree experts for free and professional advice on how to bring it back to good health. During the situations it might be necessary to begin a Daytona Beach tree fertilization process to make your trees strong and healthy again. Call us today at 386-597-1285 for a free estimate on how we can get your trees looking amazing once again, and bring your landscape to its optimal place.